We are pleased to inform you that First Bank and Trust and St Catherine of Siena School will partner for the 2019-2020 school year for the management of tuition and fees. 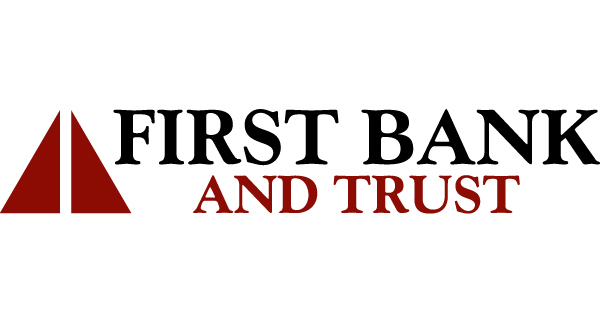 First Bank and Trust offers a convenient, secure portal for the one-time payment of tuition and fees or for the financing of tuition and approved fees with a First Bank and Trust tuition loan. The following are some important highlights regarding your payment options. Easy Online Sign-Up : If you are new to the First Bank and Trust website, https://tuitionportal.fbtonline.com you will need to create a User ID and password by clicking “I want to Register” on the sign in page of the website. 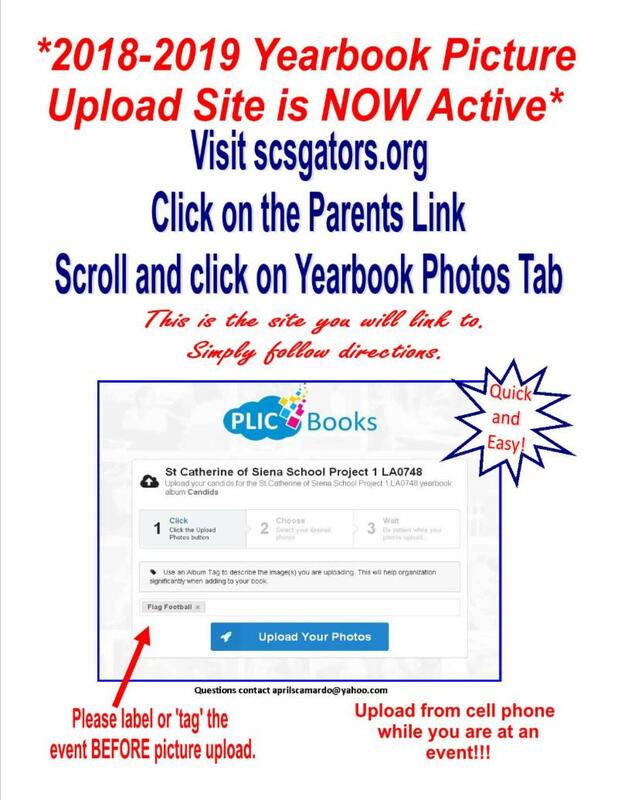 If you are an existing user on the website, you will only need your login ID and password to set up your student(s) for the 2019-2020 school year. Instructions for navigating through the website are included with this communication. 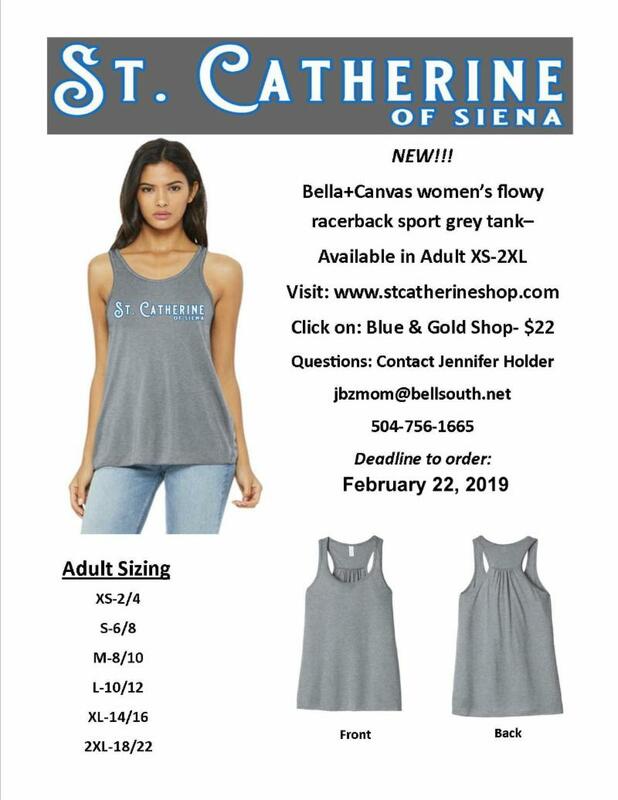 Payment Options : St. Catherine of Siena’s Tuition, Out Of Parish Fee , Supply Fee and Building Use Fee will be programmed on the FBT website. The online payment of tuition and fees will be accepted via a one-time bank draft or with a credit or debit card. If you choose to use a credit or debit card, a 2.99% convenience fee will be added to the total amount charged to the card. There is no fee for the automatic bank draft. You may elect to finance your child’s Tuition and Out of Parish Fee with a (10) month tuition loan through First Bank and Trust, however the Supply Fee and the Building Use Fee cannot be financed and is due in full by May 15, 2019.
Financing Option and Loan Terms : If you choose the financing option, you may set up a (10) month tuition loan no later than May 15, 2019, by logging into the bank’s secure web portal. The annual percentage rate on the tuition loan for St. Catherine of Siena School is 7.5%. This rate is fixed over the school term and there is no pre-payment penalty if you decide to pay the loan off early. In addition, there is no pre-qualification and no credit check required for the applicant(s). If completed by the May 15 th deadline, your ten month tuition loan will fund on June 1, 2019 and monthly payments will begin in July 2019. An annual fee of $35.00 will be assessed on the funding date of your loan and billed on your first statement. Convenient Automatic Payments: If you choose to finance tuition, you will be required to set up automatic bank drafts for the monthly tuition loan payments. You may choose a payment due date of the 3 rd or the 15 th of each month. A $25.00 fee will be charged to your account for any payment returned by your bank and FBT will notify you of when the payment will be re-processed. If a returned payment results in a delinquent status on your account, an additional $15.00 will be assessed. Beginning in March, the First Bank and Trust website will be open and available for you to review your options and to make payment selections. Bank representatives are ready and available to assist you with the online process. Feel free to call our Tuition Solution Center at (504) 584-5967 or 1-877-426-2376 for assistance. We appreciate your business and we are looking forward to working with you for the 2019-2020 school year! Cold and flu season is upon us and the New Orleans area is currently seeing a large number of students with flu symptoms. At SCS, we been monitoring absences very closely this week and we have received a very high number of students reporting they have tested positive for the flu. In order to keep our students, faculty, and staff healthy and safe we all must work together to prevent the spread of illness at school. I have been in contact with the Office of Catholic Schools, reviewed the Louisiana Department of Health preventative measures to ensure we are taking all appropriate steps to disinfect the school throughout the day, our cleaning company is taking additional steps to deep clean and disinfect at the end of the day, and I have been in consultation with a local pediatrician to be able to identify early signs of the flu when assisting children at school. We want to keep the school open and functioning with healthy children and we need your help to do this . We strongly recommend that your child stay home from school if experiencing any flu or cold symptoms, even if they do not test positive for the flu; this is to reduce the spread of illnesses. We have been informed that the early stages of the flu are presented as a common cold which then can progress into a high fever and vomiting. Please note, if your child test positive for the flu, they are contagious for 5-7 days from day one of the illness. Fever greater than 100.5 degrees by mouth. Your child may return to school only after his or her temperature has been consistently below 100 degrees, by mouth, for a minimum of 48 hours without the use of fever-reducing medications – even if they have been treated with Tamiflu or other antiviral or antibacterial medications. If a student is absent for three consecutive days they must present a doctor’s note upon return to school. 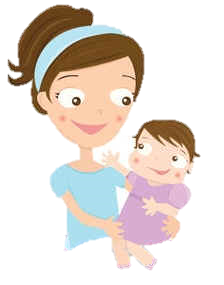 Staying home when sick will allow your child to rest and allows you to monitor their health closely. Keeping your sick child home is the responsible thing to do. It protects fellow students and school staff – especially those who are at higher risk of severe illness from the flu. Wash hands frequently with soap and water or alcohol-based hand sanitizer, if soap is unavailable. We have hand sanitizer stations in every classroom and public spaces and we expect our students to use them. Do not touch eyes, nose, or mouth. Do not share personal items like drinks, food, or unwashed utensils. Cover mouth and nose when sneezing or coughing, use a paper tissue, throw it away, and then wash hands. If they don't have a tissue, they should cough or sneeze into their upper sleeve, not their hands. Communicate any symptoms to your doctor. Get a flu vaccination, if you have not already. It is not too late for vaccinations to still be effective. Practice other good health habits: clean and disinfect frequently touched surfaces at home, work, or school, especially when someone is ill. Get plenty of sleep, be physically active, manage your stress, drink plenty of fluids, and eat nutritious food. For more information, visit www.flu.gov , or call 1-800-CDC-INFO for the most current information about the flu. Please refer to our health and illness policy which is located in our family handbook for further information. As always, I am available via email should you have any further questions regarding this issue. Swap Shop will be open Saturday, February 9th from 9-11 a.m. You can bring in any uniforms that you would like to donate or swap. We accept anything in GOOD condition. If you don’t need anything right now, we keep track of your donations to use as credit on future purchases. If you don’t have anything to swap or an existing credit, you can simply purchase whatever you need. Everything is under $5. 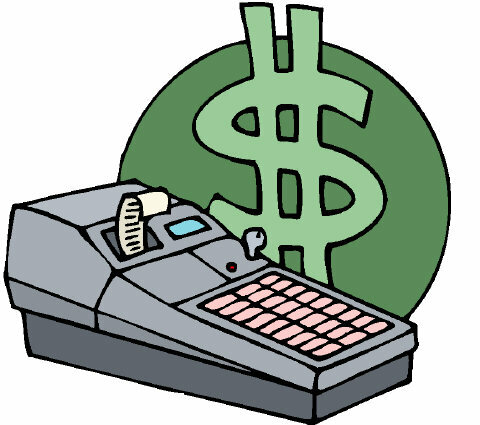 We accept cash or checks made out to SCS. Please contact Amanda Koloski ( avmasset@yahoo.com ) with any questions. SCS Summer Camp will run from June 3 - July 12, 2019. 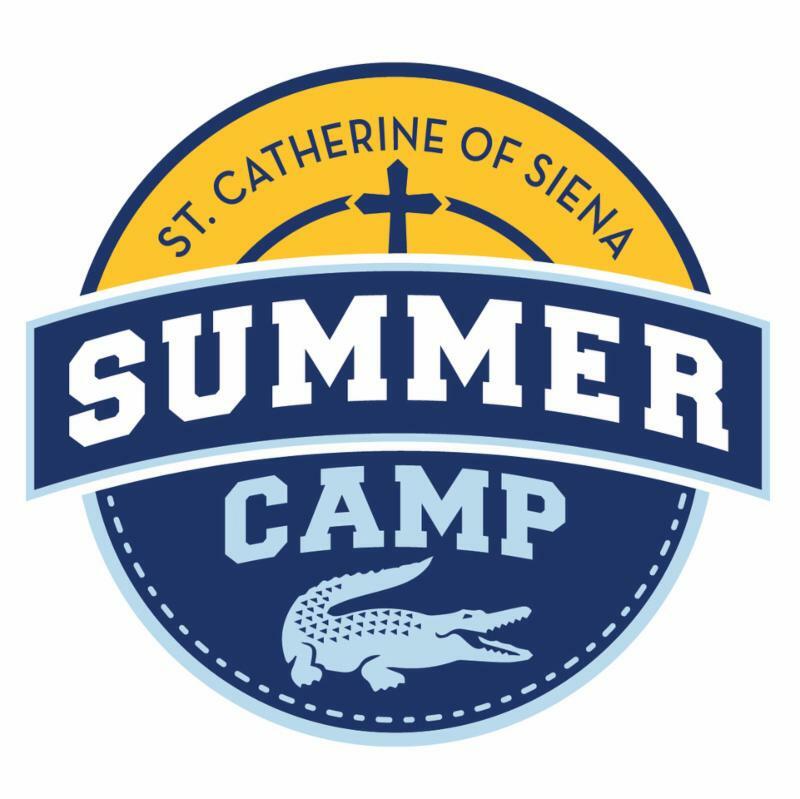 SCS camp is open only to SCS students and parishioners entering PreK4 - 7th Grade (for the 2019-2020 school year). Registration is limited to 250 campers. Camp Registration Forms and Staff Applications for the 2019 SCS Summer Camp are available online at www.scschurch.com/summercamp . For more information, visit our camp website or contact Matt Orillion at camp@scschurch.com . 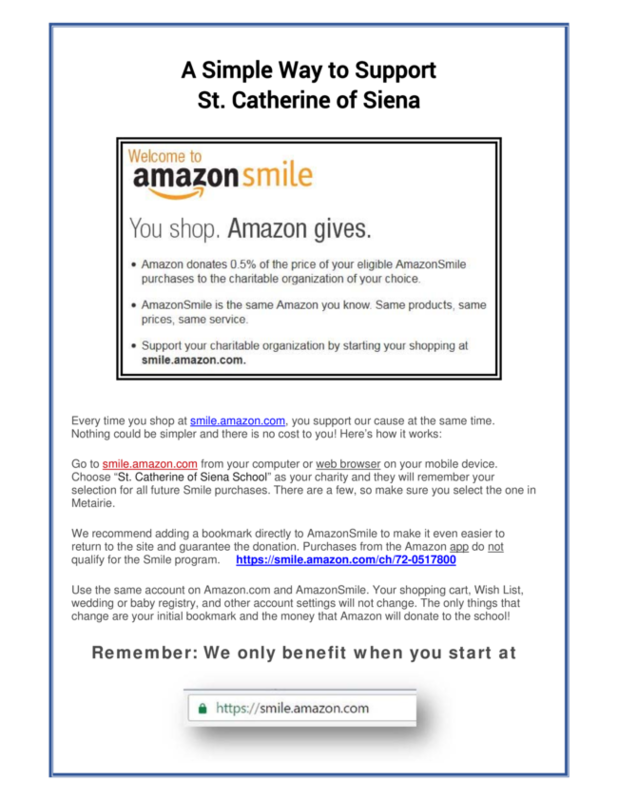 Purchases is an easy and great way to raise money for SCS! 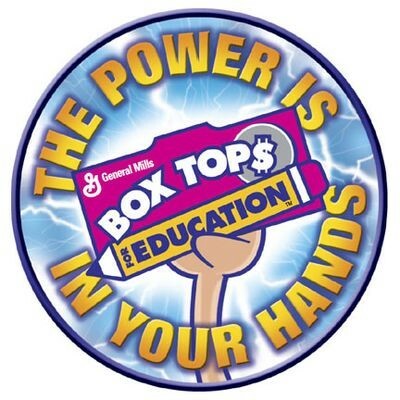 Each Box Top & CC Proof of Purchase is worth 10 cents! Look for the Box Top labels on your household and food items and Community Coffee Proof of Purchases on all Community Coffee products. Cut out and place in a Ziploc bag labeled with your child’s name and homeroom number. Send to school in your child’s folder. The submission deadline for our last contest of the year will be February 15th. The homeroom class that collects the most Box Tops will win a doughnut party!! 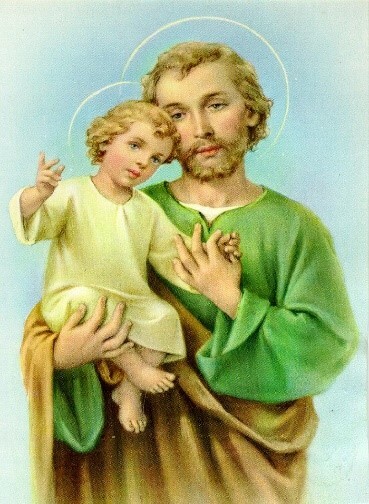 We are accepting donations for the St. Joseph Altar. Please consider donating Sugar, All Purpose Flour, Powdered Sugar, and Pecans. Donations may be placed in the St. Joseph basket located in the Church Narthex. Monetary donations are also accepted and may be dropped off at the Parish Office between 8:30-4:30. ﻿Thank you for your generosity. The SCS Gala is quickly approaching!!! We are looking for sponsors & auction items. If you are new to SCS & are a business owner this is a great way to get your name out there. To sponsor the event click here ! 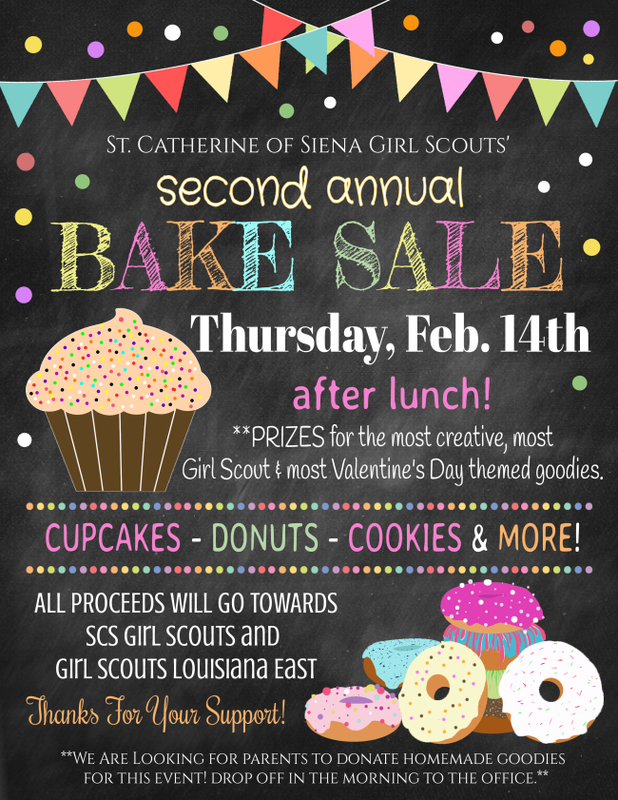 If you would like to donate an item please contact Christine Corrigan or Anne Mahia. Tickets are also on sale now here. This was a fabulous event last year & we are looking forward to another great Gala! Click here for a sponsorship application. 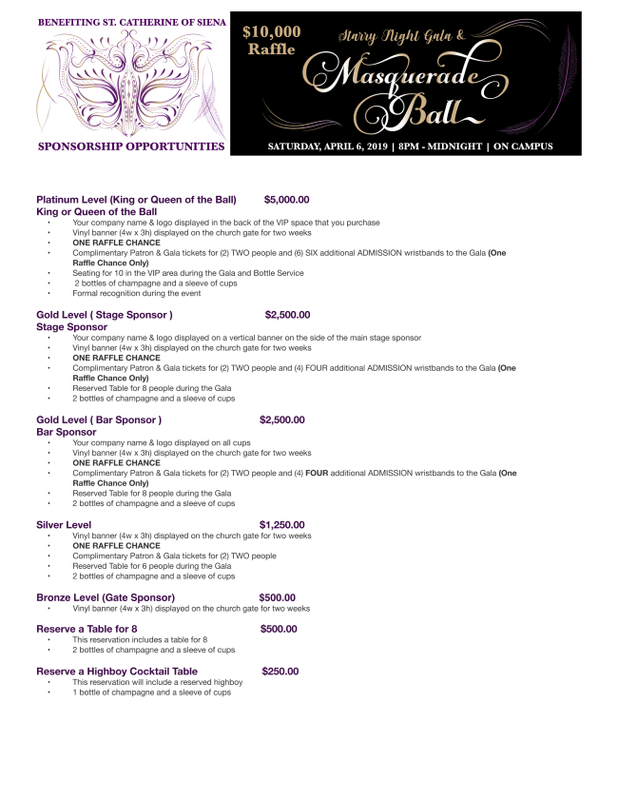 Click here for more information on the Gala. St. Catherine's child care is looking for help, from 5th graders and above, during the Sunday masses at 9:00 and 11:00. Advanced notice is appreciated. We meet in the Melancon Center. 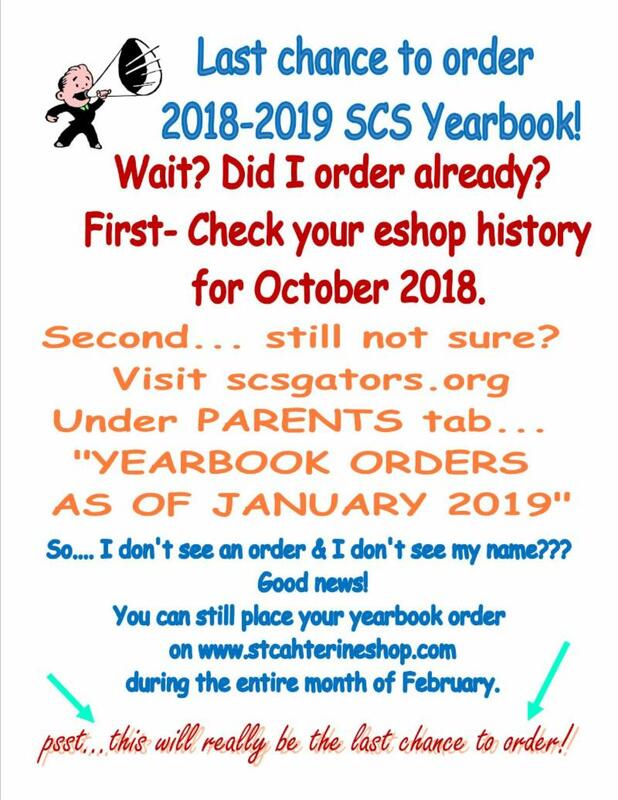 Please contact Madylin Schneller at mschneller@scsgators.org for more info or to sign up. The SCS Hot Lunch Program does not allow students to charge the school when money is not available in their lunch account. 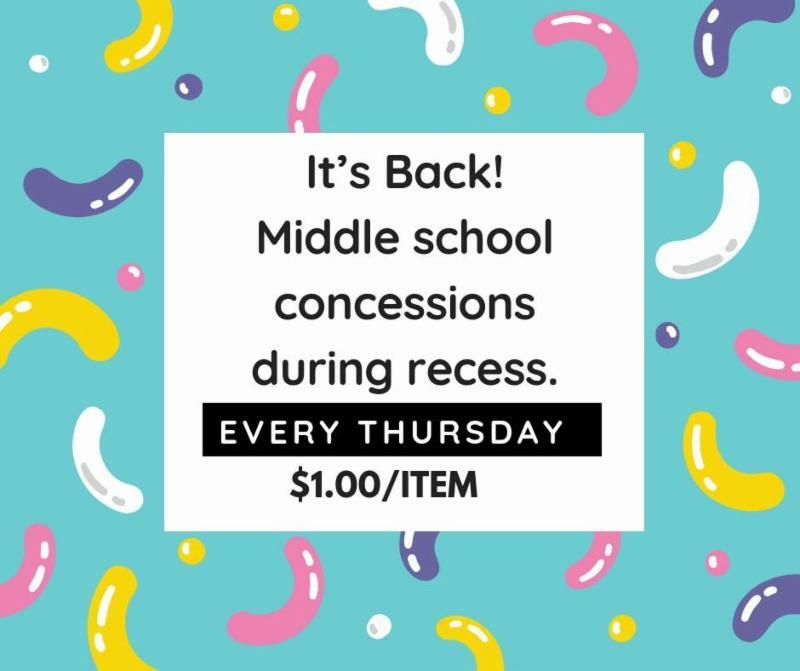 Click here to add money to your student's lunch account. No food or drink from outside establishments are allowed in the cafeteria. The HOT LUNCH program will no longer accept cash starting in January. 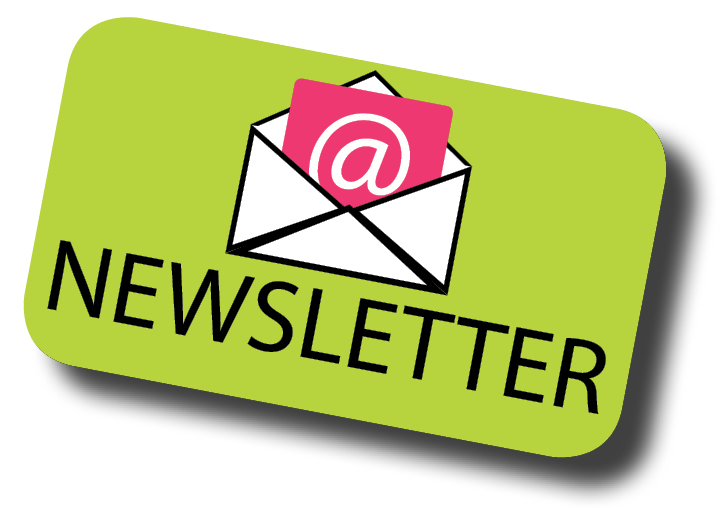 If you have information that you would like featured in the next issue of the weekly Gator Bites Newsletter please email, gatorbites@scsgators.org by Wednesday at noon.